Intro to the eight parts of speech. Mnemonic device to help memorize the first syllables of the eight parts of speech: verbinpronounadjadconprep. The eight parts of speech reviewed. Interjection discussed. Eight Parts Of Speech reviewed. 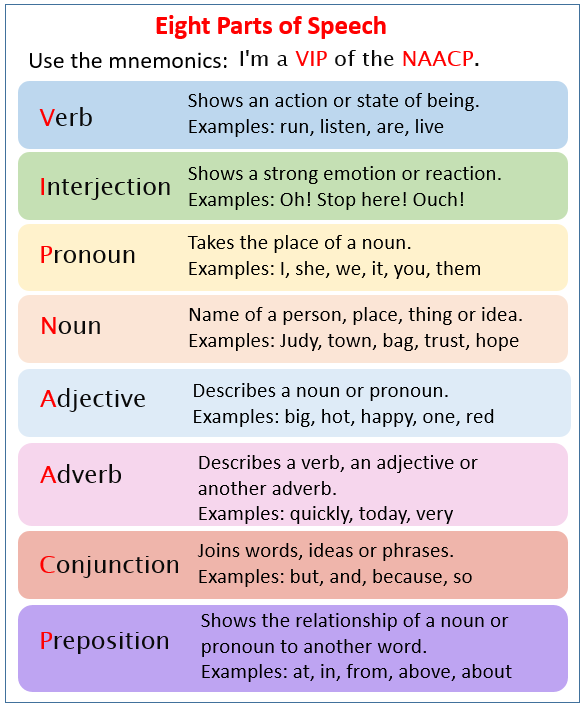 Quick review on verb and interjections. Pronoun introduced. Next Page for explanations on noun, adjective, adverb, conjunction, and preposition.